Thank you to TruMoo Chocolate Milk for sponsoring this post. One of my all time favorite desserts is rice pudding. I love the creaminess paired with the tenderness of the rice. I rarely make it because I will eat the entire container myself! As a room mom for The Nag’s class, I was recently asked to bring a treat in for the kids to enjoy. I wanted to make my favorite sweet treat but decided to put a little spin on the classic. CHOCOLATE! How could I go wrong? And since I rarely have time to get everything done, my slow cooker was going to do the work for me! 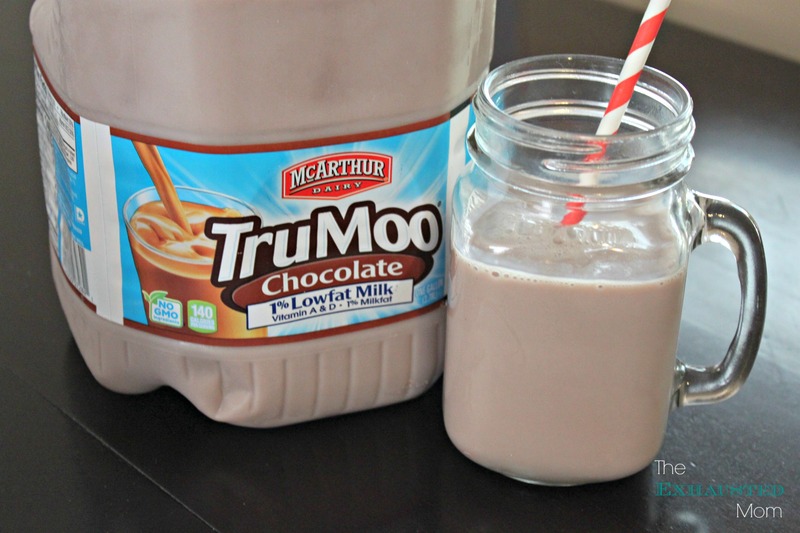 My kids love reaching for TruMoo Chocolate Milk in the mornings. 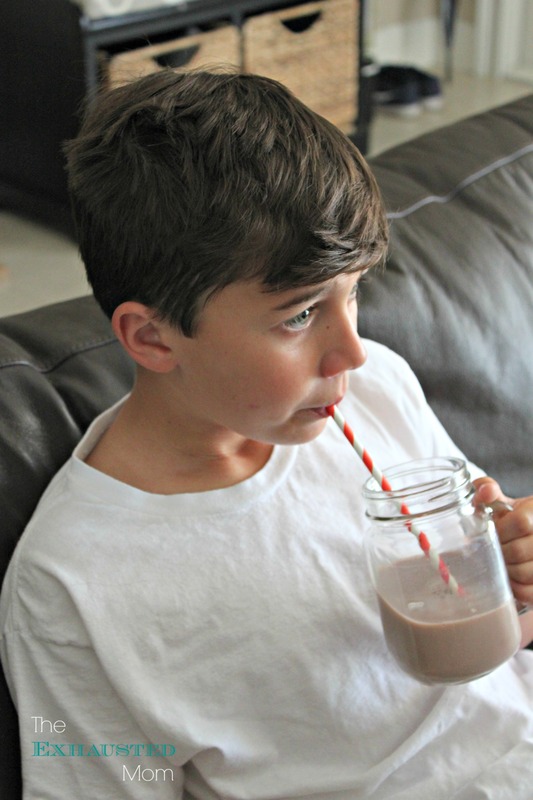 TruMoo Chocolate Milk is formulated to contain nutritional benefits for families, without sacrificing taste. It’s sweetened just enough to help supplement the naturally occurring sugar in milk (lactose) but contains no high fructose corn syrup. TruMoo also provides 8 essential nutrients that kids need for critical development stages—making it a nutritiously delicious win-win for moms and kids. TruMoo Chocolate Milk is made with fresh white milk – sourced from your local dairy – plus pure cocoa, and just enough natural sugar to make it taste great. With no high fructose corn syrup, no artificial growth hormones and no GMO ingredients, you can feel great about serving it to your school’s families! It really couldn’t be any easier! 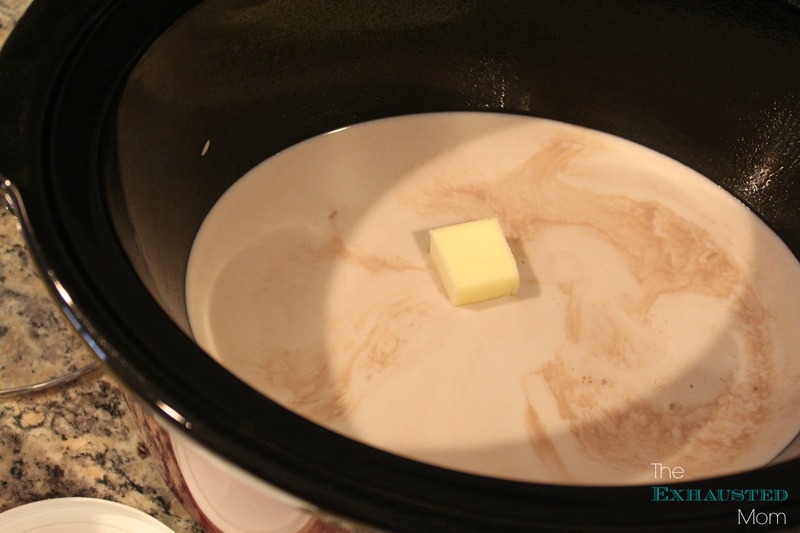 Spray the slow cooker stoneware with cooking spray. For dessert recipes, I like to use coconut oil cooking spray. 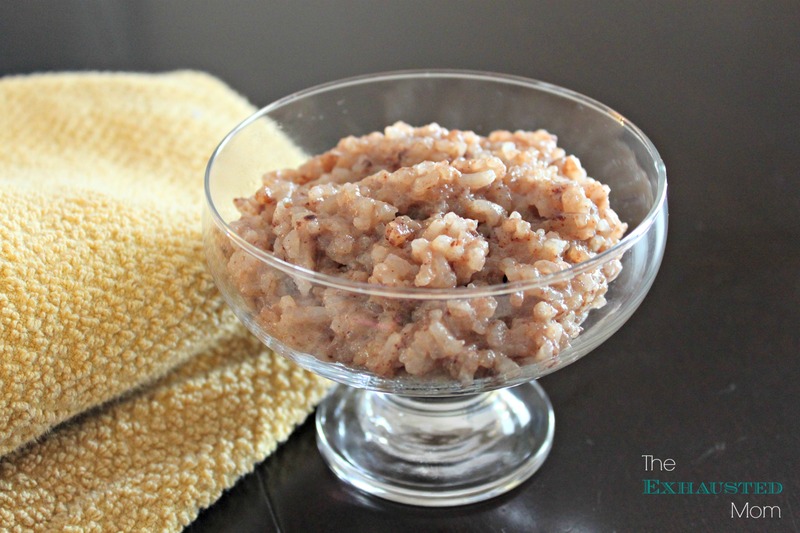 Combine the rice, 2 cups of TruMoo Chocolate Milk, 1 cup of 2% milk, sugar, butter, vanilla extract, cinnamon, and salt in the slow cooker. Give it a quick stir. 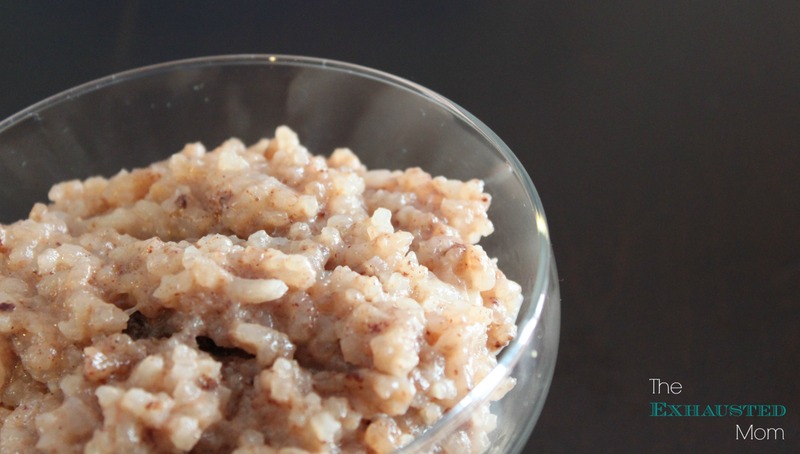 Cook the chocolate rice pudding on high for 2-3 hours or low for 4-5 hours. That’s it. The hardest part about this dessert is waiting for it to be cooked! 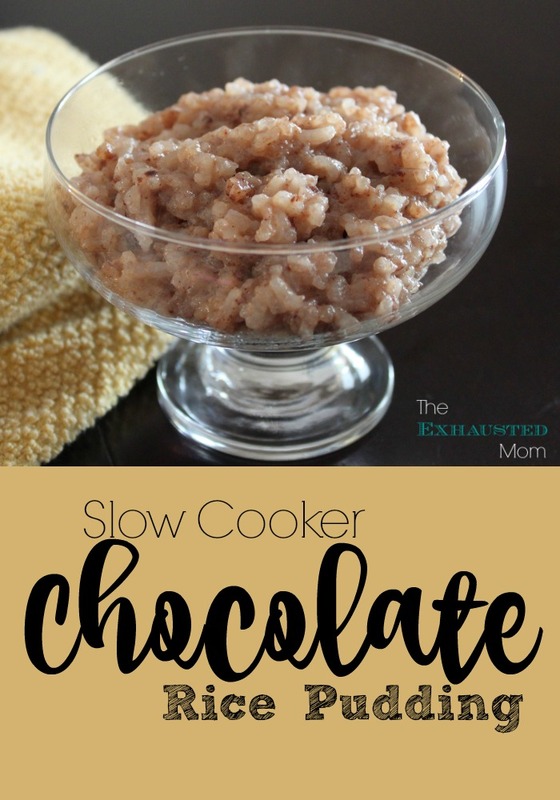 I like to eat my Slow Cooker Chocolate Rice Pudding warm with a sprinkle of cocoa powder. For the kids at school, I’ll serve it cold and give them a choice of toppings. I’m thinking whipped cream, chocolate chips, slivered almonds, and raspberries! TruMoo Chocolate Milk can be enjoyed either cold or hot. You can find this product in the dairy aisle at most stores nationwide. Find TruMoo near you: http://trumoo.com/store-locator. Spray the slow cooker stoneware with cooking spray. Serve warm and add toppings if desired. « Set Up a Candy Buffet In Minutes!